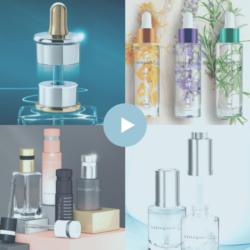 With its excellent organization and staging, once again COSMOPROF gathered the most important brands, manufacturers and suppliers from the beauty market to its recent show in Las Vegas. 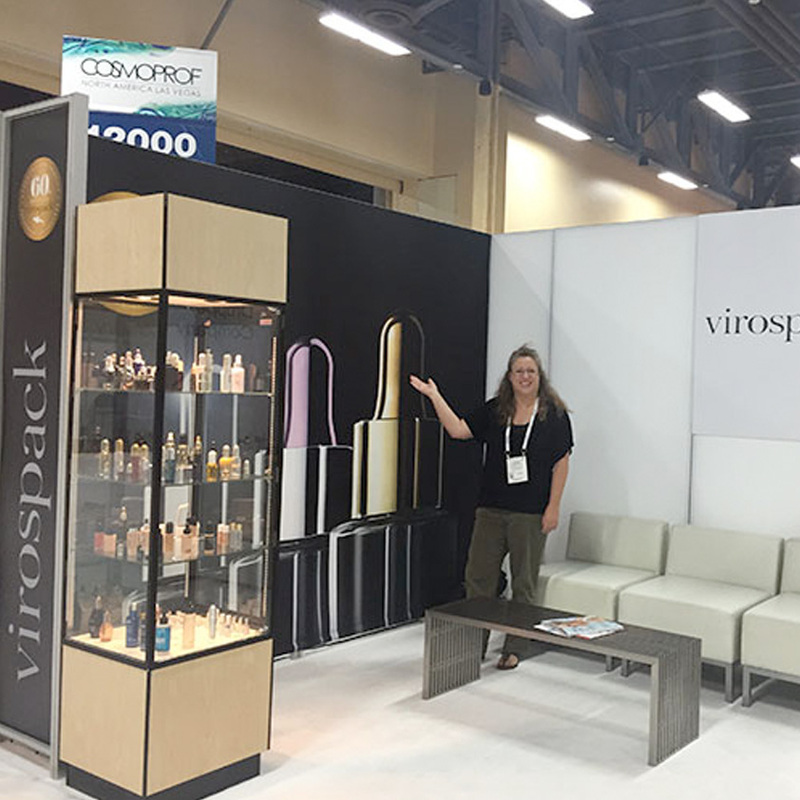 VIROSPACK did not miss this North American edition, and the company’s attendance in the meeting area of the Mandalay Bay Convention Center enjoyed a rewarding number of visitors to its booth. The Dropper Company shared with the cosmetic sector the large range of finishes and customization options that Virospack offers to brands — a qualitative range of different decoration techniques, which are all done in-house at Virospack’s facilities in Barcelona, Spain. The company presented metallized bulbs, a premium finish for an eye-catch look, —developed and introduced by Virospack this year to celebrate the company’s 60th anniversary— a luxury finish in really striking colours such silver, gold, quartz, fuchsia, blue or green. There were also innovative bulbs injected with microreliefs in different designs, natural or lacquered, which also attracted the interest of many brands, as did the moulded glass bottles with very different base finishes, sliver, painted, iridescent or soft touch, and high definition decoration by screen printing, hot stamping or even with inks containing glitter which Virospack also presented. 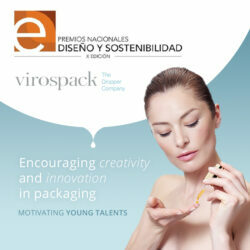 VIROSPACK THANKS ALL ITS CUSTOMERS AND NEW CONTACTS FOR VISITING ITS BOOTH AT LAS VEGAS!